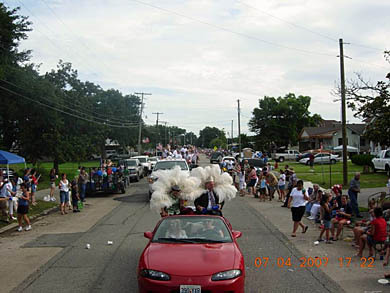 Fourth of July, 2007 Celebration in Erath, Louisiana. 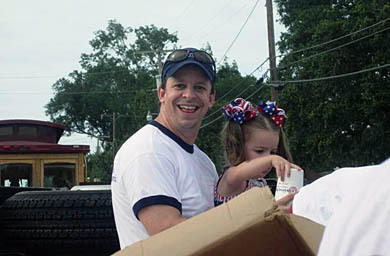 Jean and Lily Ouellet on the Float. 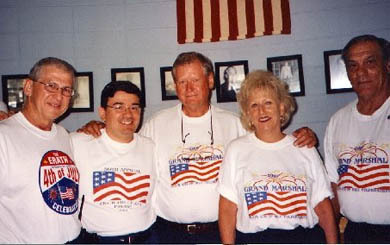 Past Erath 4th of July Presidents: Tony Boquer, Robert B. Vincent, Elwood Lacour, Claudette Lacour, and Richard Dubois. 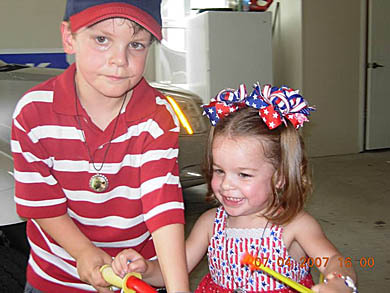 Photo taken July 4, 2005. 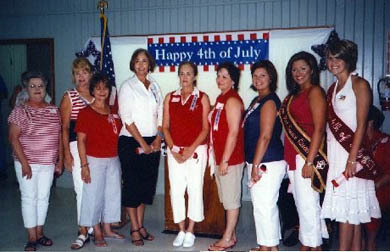 Past Miss 4th of July Queens: Mona Menard (1962), Margo Butler LeBlanc (1964), Elizabeth "Libby" Simon LeMaire (1966), Charlene LeBlanc (1974), Suzanne Suire Landry (1976), Manique Reaux LeBlanc (1981), Nicole Hebert Toups (1989), Monica Suire (2002), and Leslie Mouton (2005). 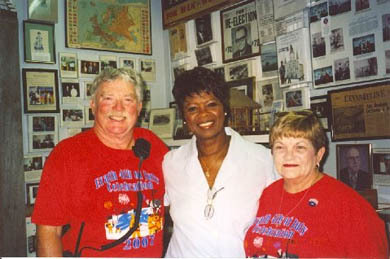 Past Grand Marshals: (Front Row, Left to Right) Inez LeBlanc Vincent (2001), Kelly Ruth Broussard (2002), Dot Mergist (1993), Gertrude Lawes Landry (2004). 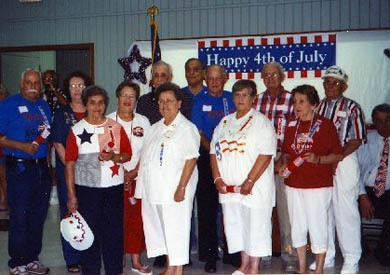 Back Row: Leon Reed (1985), Clevie Thibodeaux (1987), Romona Babineaux (1988), Numa Broussard (1990), Richard Dubois (1981), Rudy Lange (1992), Roland Girouard (2003), and Lee Bernard (1998). 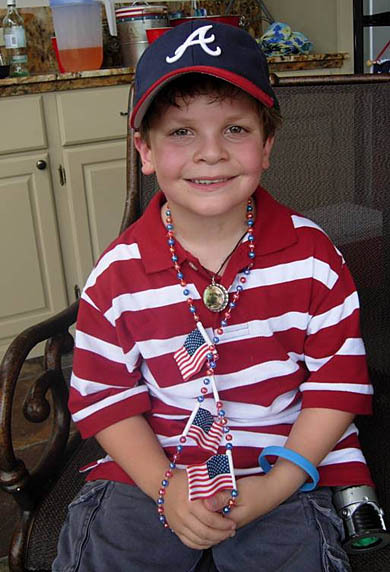 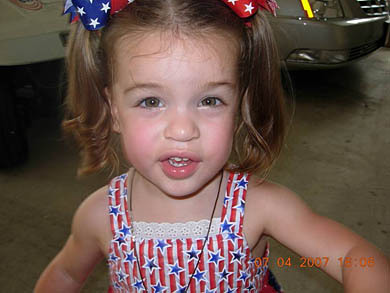 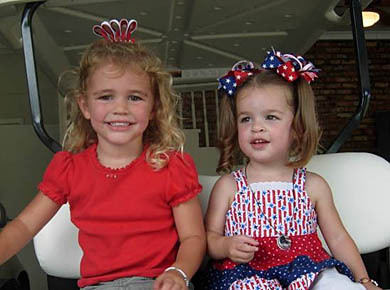 Photo taken July 4, 2006. 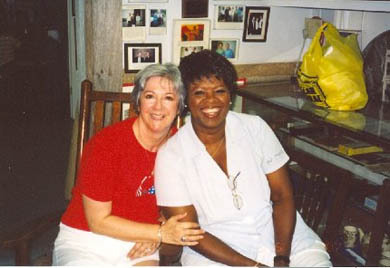 Jackie Vincent with Irma Thomas at the Acadian Museum on June 30, 2007. 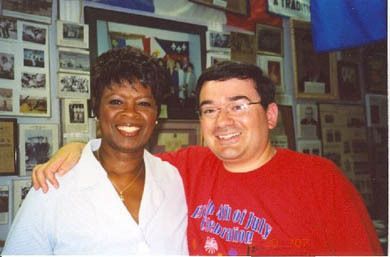 Irma Thomas and Robert B. Vincent at the Acadian Museum, June 30, 2007.